Your API Science free 30-day trial includes sample API monitors that enable you to immediately explore the capabilities the API Science platform provides. But if you’ve come to API Science, it’s probably because your work utilizes APIs (external or internal) and you recognize the need to know the uptime of these APIs and their performance statistics, since your product is accessed by your customers on a 24/7 basis. 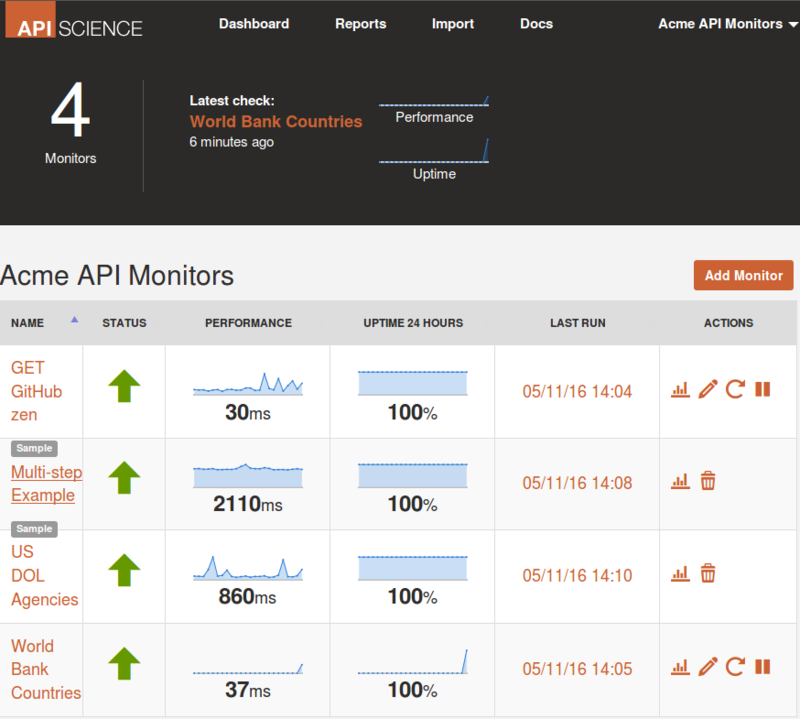 This information is precisely what you’ll receive when you create your own custom API Science API monitor. 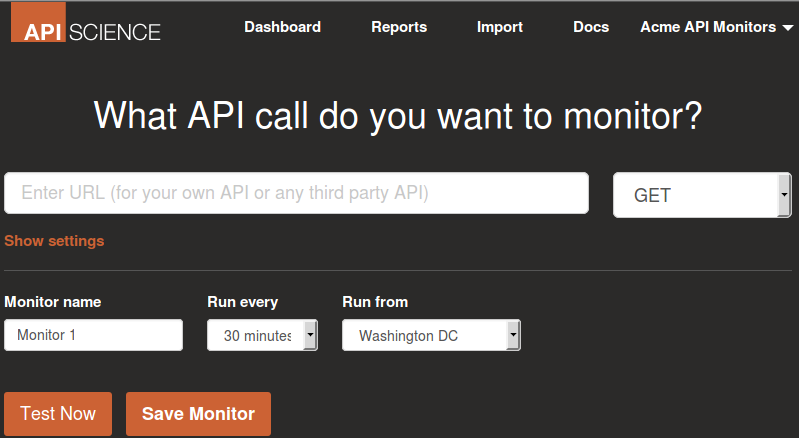 Click “Save Monitor” to initiate automated testing of the API call. You’ll be brought to your new monitor’s summary results page, which provides the results of recent checks on the API call, uptime history, and alert configuration options. API Monitoring, Getting Started. permalink.